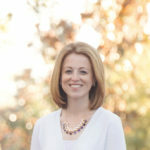 I thought I had posted this but when I searched my blog I realized I hadn’t. 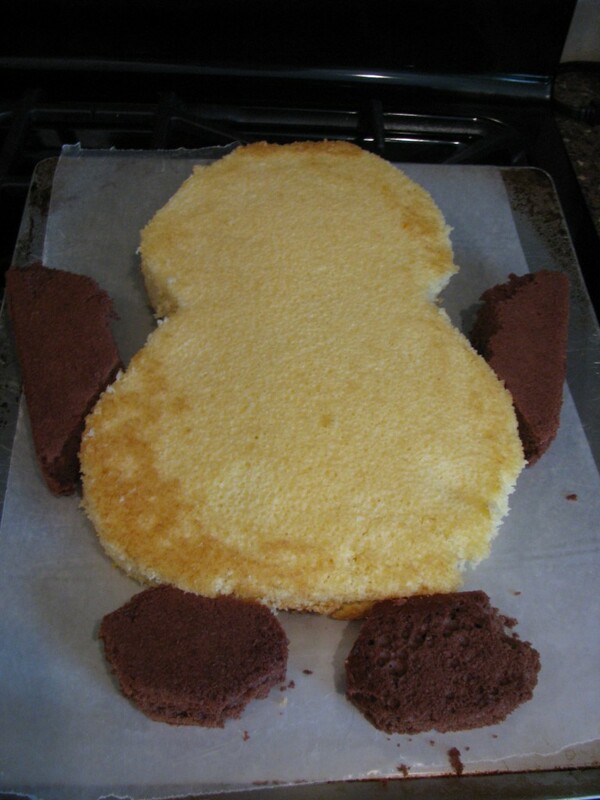 Last year for my son’s 12th birthday he asked me to make him a penguin cake. Not just any penguin though. A ninja penguin. He got this little guy at school. So I looked and searched online and this was the beast I could come up with. 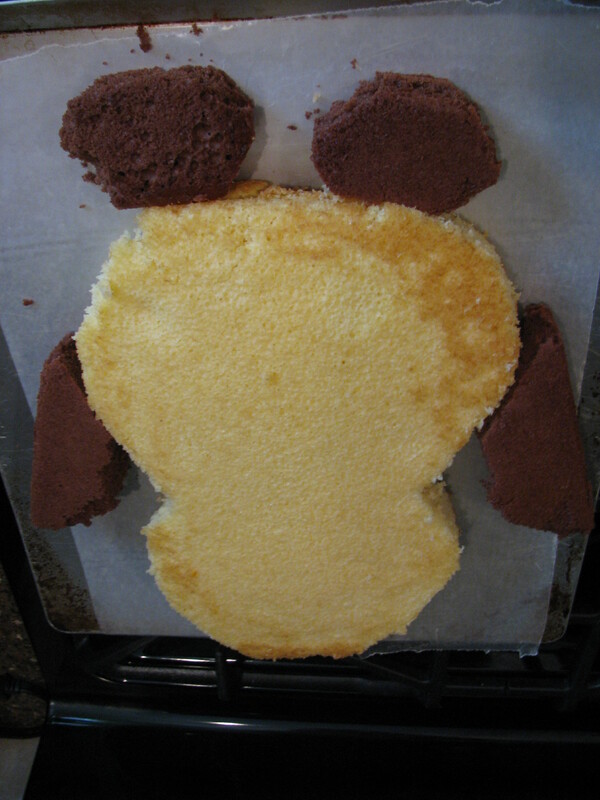 I made 2 cakes and cut the pieces to make a body, fins and feet. Make sure to freeze the cake before frosting. You can also add a some layer prior to freezing. This makes it easier to frost. 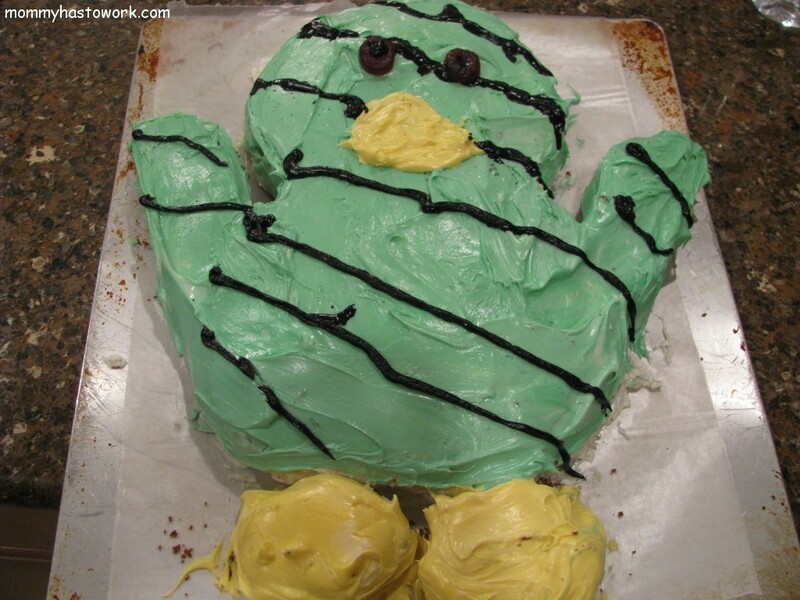 What was the strangest cake you’ve made? My First Attempt at Cake Pops! 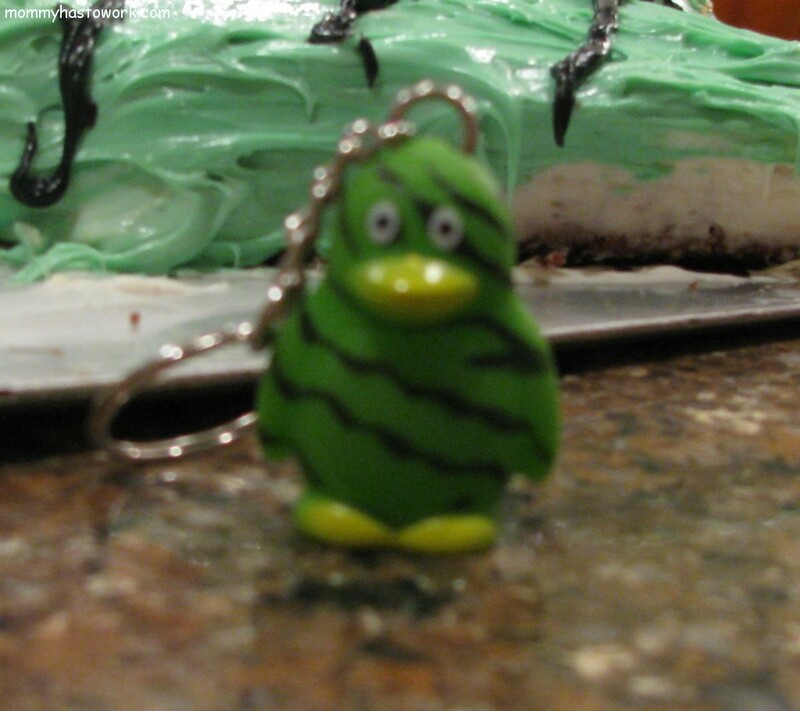 Your penguin cake is adorable! Awww this is so cute! My nephew would love this! You won’t be putting Cake Boss & Duff out of business anytime soon, but it is cute as heck & I adore your DIY attitude. Way better than a mass produced store cake any day of the week. I think your cake is very cute. So cute! 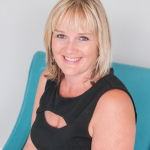 What a great mom you are! Good job, mommy! Looks just like the keyring! I made a Lightening McQueen for my son’s birthday and then he promptly got really sick and did’t get to have his party. It was sad. I think it turned out adorable. I made a red hat cake for my mom, probably the weirdest. Way to go! I buy our cakes most of the time because I am just not great at cake decorating. I did make a snake one year for my son and he loved it though. I think you pulled of the ninja cake nicely! Our fall fundraiser last year had to do with these penguin key chains, and I’ve got so many of those penguins laying around. 🙂 Love your cake… I could not have pulled it off. You did a great job. The last shaped cake I made was for my son’s first birthday – I attempted a sea horse. Much more Martha Stewart and much less kindergarten cooking project! Cute idea! It’s not a duck. It’s a ninja penguin! Ha — you did a WAY better job than I could. I wish I could decorate a cake but I can’t. It’s hysterical how badly I do! I am not really a baker so I have not made any cakes lately. I like your penguin cake! That’s adorable! That was so sweet of you to come up with such a specific cake. Cute. I never could have make it look that good. Very cute and I’m sure it was enjoyed! Love it. That turned out so cute. He is adorable! 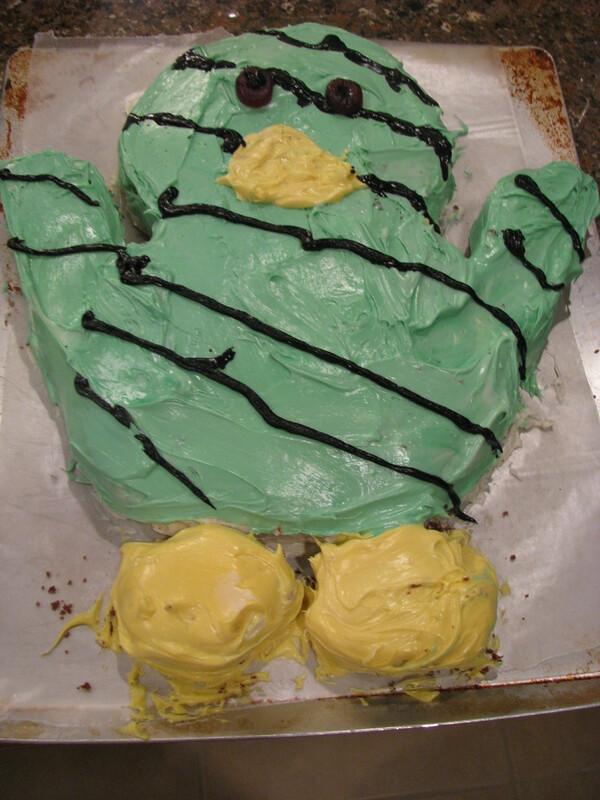 I made a duck cake once, that is about as creative as I get. So cute. Decorating with buttercream or any softer icing is pretty hard. You did a great job! Haha, it’s still fun though 🙂 I’m glad you included a photo of the keychain he got because that didn’t look like any penguin I’ve ever seen. Good job! For me? I’ve only made a heart cake – I’m not too daring in the kitchen. Aww what a great mom you are! Thanks for showing the little figure too, because otherwise I would have thought it was a duck as well LOL. I love when kids ask for a specific type of cake. One year our daughter wanted a gumball machine, that was both fun and frustrating to make!